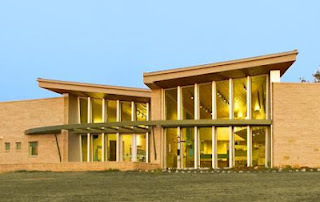 Catalyst Architecture's Hagerman NWR in north Texas was recently awarded a LEED-Silver certification from the USGBC. The 8,000 sq.ft. building contains symbolic design and site plan references to the region’s agrarian context and features local Texas limestone, integrated trellises, and canted windows for bird-strike mitigation and reduced solar heat gain.